Infinite sustain device that produces powerful, prolonged notes, and swells of spaced-out sounds. Instead of being mounted at your feet like an effects pedal, AEON puts the effect where it matters most – right in the palm of your hand! 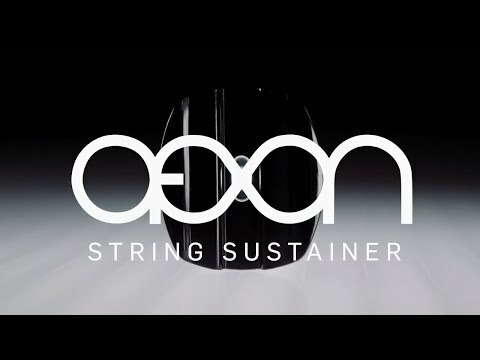 Providing instant access to an entirely new world of amazingly-expressive guitar tones, AEON lets you tap into soaring bowed arpeggios, vibrantly-bouncing spiccato, volume swells, endless sustain, and sweeping legatos that can easily be mastered using a variety of simple techniques. Features: Handheld infinite sustainer made from high-quality materials. Powerful custom-made transducers for fast string excitement. Cool and compact build for ease of use. Create inspiring new sounds including drones, fade-ins, bowing and more. Increased string clearance allows for incredibly expressive and dynamic playing. 9 V battery is conveniently included with purchase. Works with guitar, bass and other stringed instruments. Brushed aluminum enclosure design for style and life on the road. Do you own TC Electronic Aeon or have you had a chance to try it?